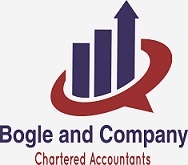 In this section, we at Bogle and Company recognise that while there are several Standards out there, in our economic climate there are some standards which are used more than other. International Financial Reporting Standards (IFRS) is a set of accounting standards developed by an independent, not-for-profit organization called the International Accounting Standards Board (IASB). International Financial Reporting Standards are an older set of standards stating how particular types of transactions and other events should be reflected in financial statements. In the past,international accounting standards(IAS) were issued by the Board of the International Accounting Standards Committee (IASC).